Bridal Portrait sessions are something that not all brides choose to do, but they are SUCH a brilliant way to capture gorgeous images of each bride before their wedding day! 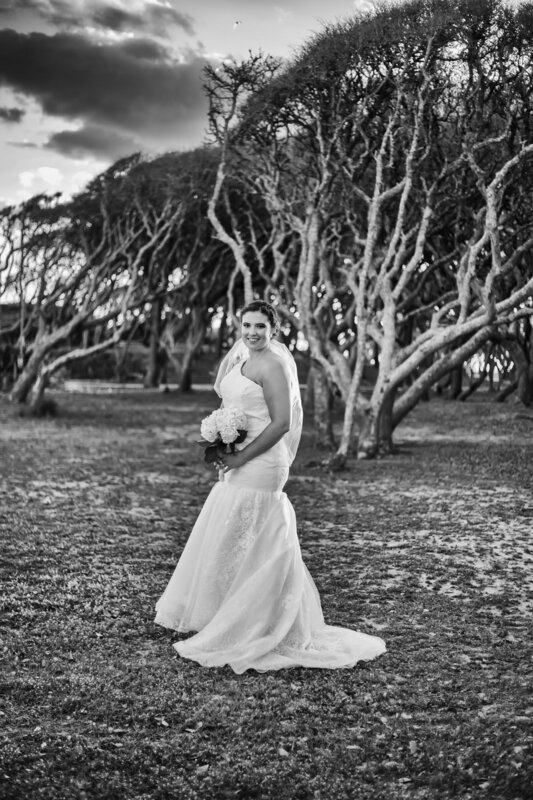 Whitney, her mother and I chose Fort Fisher as the perfect bridal portrait location. We also happened to choose the windiest day I have ever experienced which was challenging, but really made for beautiful images with her veil being caught in the wind! Whitney, you are absolutely stunning! We had such a fun time at your engagement session, I am so happy we got additional time to do a bridal portrait session as well. Brides, if you are considering booking a bridal session, allow me to sway you with this image collection! One of the smartest things you can do for your bridal session, is to also plan your hair & makeup trial on the same day. This will allow you to get a feel for the complete look, and when going through your bridal portrait images, you will see exactly what you love or want to change before your big day! Bridal Session Props a Must! Whitney just so happened to find a chair that she thought would give us some pose options for her bridal session. I love the way the soft, muted colors of the chair gave a certain feel to her images. Great find! I always suggest that my brides bring a flower bouquet with them to their session. You certainly do not have to spend an arm and a leg to do so, you would be surprised how a basic floral bouquet from Whole Foods or Trader Joes can really add the perfect finishing touch to your images! You cannot go wrong with a golden hour photo session, and this is certainly true for bridal portraits. The hour before sunset is perfect for flattering images because you have nice even light, very little under eye circles from the harsh overhead sunlight, and you get the added benefit of beautiful sunset-filled skies as the session shifts from daylight to night. 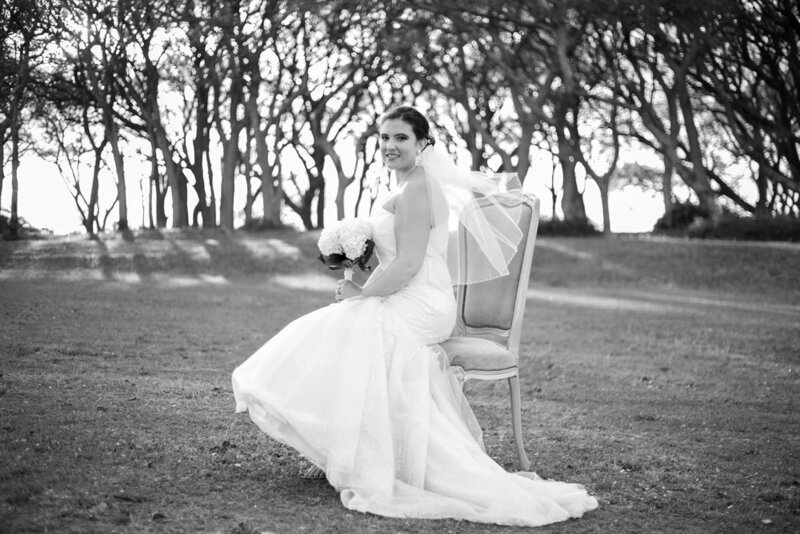 Whitney, you were such a beautiful bride! Thank you so much for spending the evening with me at beautiful Fort Fisher! 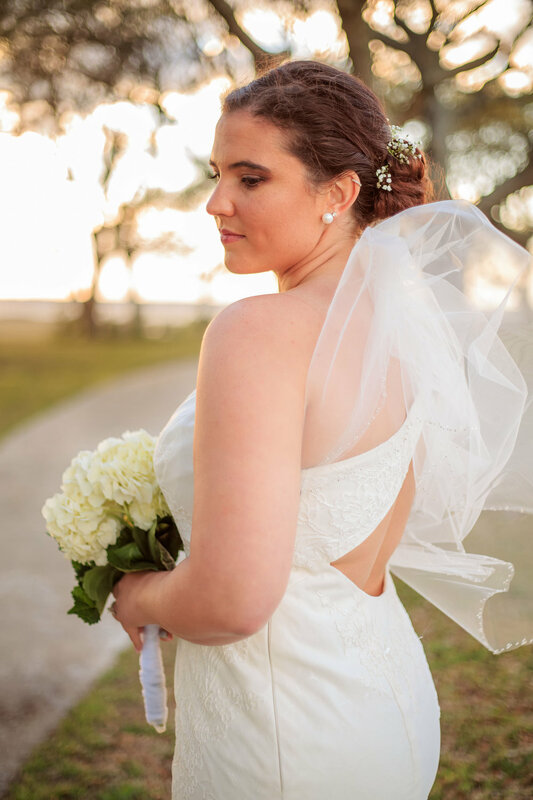 Stay tuned for a blog post of Whitney & Chad's Oak Island wedding! Check out featured Wedding & Engagement blog posts!